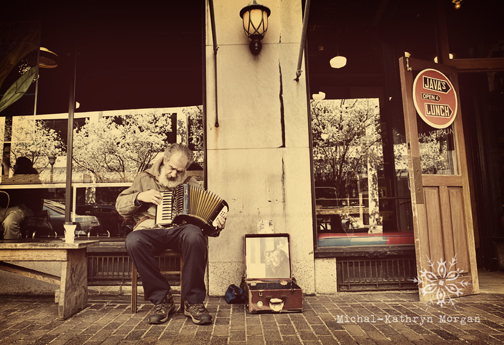 Often times I walk down Gibbs street hearing sweet music wishing I had a camera in hand. Finally I timed it right. This sweet old man serenades most local Java patrons. I wonder what his story is? His training? Did he attend the Eastman School of Music that he plays just outside of? What is his name? I am so fascinated by him, but I am so taken by the sweet melody mixed with coffee….oh I love coffee. What a perfect mix to one of Rochester’s perfect days. It is not often we have sun and melody at the same time.